Doug practices across a broad range of intellectual property law and many technical areas, including: electronics, semiconductors, telecommunications, software, medical devices, and mechanical arts. He drafts patent applications and performs patent prosecution for a variety of small, medium, and large clients. This includes U.S. prosecution and coordination of world-wide prosecution. He has lead complex licensing negotiations between large and medium-sized companies and licensors/licensees. Doug has also frequently acted as an outside IP counsel for small to medium-size enterprises, assisting them with a wide-range of intellectual property and other issues that arise in their businesses. He provides strategic intellectual property planning services to clients of all sizes to better protect, mine, and exploit their intellectual property. Doug has litigated in many Federal district courts and Delaware Chancery Court. He assists clients with challenges faced by third-party intellectual property, including assistance with design-around efforts, as well as rendering infringement and validity opinions on third-party patents. Doug also has experience on IP due diligence in the M&A context. He has been a frequent speaker at legal, industry, and business meetings, and drafter of multiple articles. Represented largest pure-play semiconductor fab in patent preparation and prosecution in front of the USPTO. Represented respondent LED companies in USITC action, successfully settling matter. Represented respondent power supply chip supplier in USITC action, reaching a satisfactory conclusion of the matter. Represented patent licensor in patent action in E.D. Virginia against eleven defendants, successfully obtaining favorable settlements with all defendants. Represented Hewlett-Packard against charges of copyright infringement and breach of contract, resulting in a finding of summary judgment in favor of HP on all causes of action. Represented Sony, Compaq, Hewlett-Packard, and Gateway in a patent infringement action, resulting in a finding of summary judgment of non-infringement. Counseled and assisted major mobile telecommunications company in developing its significant patent portfolio. Worked at United States Steel Corporation as manager and engineer, gaining extensive engineering experience in industrial drive systems, instrumentation, software design and industrial programming, and power house operations at a 3 million ton per year integrated steel making facility in Birmingham, Alabama. Served as the Resident Managing Partner of Finnegan's Fei Han Foreign Legal Affairs Law Firm office in Taipei, Taiwan, 2007-2011. 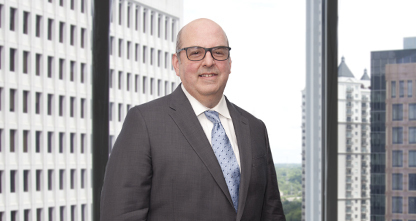 Cantor Colburn LLP is proud to announce the hiring of Douglas S. Weinstein in the firm’s Atlanta office. Mr. Weinstein is a patent attorney, working in both prosecution and litigation, with significant experience in Taiwan, where he served as Partner and Taiwan IP Coordinator for four years for a major U.S. intellectual property (IP) firm.